Beautiful You: Review | Run Boy Run Palette From Make-Up Revolution! Review | Run Boy Run Palette From Make-Up Revolution! I bought this palette before I went to New York and these were the only eye shadows that I took away with me and I've used them everyday since! Seen as I love it so much I thought that I would share that with you guys and considering I haven't blogged since my New York series I needed to get back on track. 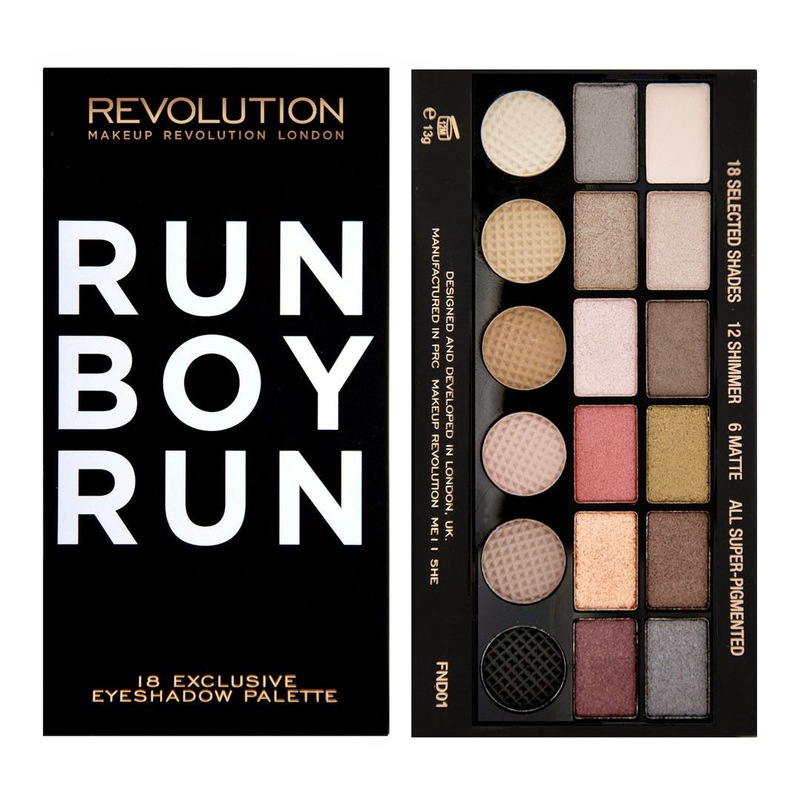 The palette is called Run Boy Run by Make-Up Revolution and I have wanting to try this brand for a long time but I had never seen it in my local Superdrug until now so I decided to pick this up. As I normally do I will just let you know what I thought about different aspects of the product! 1. Packaging- I really like the packaging as it is really slim and easy to pack, this was able to fit at the bottom of my Zoella make-up bag when I went to the states and then everything else fitted on top. I also love how the shadows themselves are laid out because you have the shimmers together and then you have the mattes together which makes it really easy to use. 2. Product- for this price of this palette I wasn't holding out much hope but considering this was the only palette I took with me that speaks for itself as to how much I love it. All the colours are so pigmented and blend so well that it is super easy to create so many different looks. I also love the fact that there are shimmer and matte shadows in there because I love having a matte shade blended through my crease. I also think that you get such an amazing range of colours for the price and some of the colours I wouldn't normally use but because they are in here I am experimenting more! 3. Price- I cannot believe how cheap this was, full price it is £8 however as I bought mine in Superdrug and they do student discount I got mine for £7.20!! I would not hesitate as to buying another one of these palettes because they are amazing quality for an amazing price, I definitely recommend Make-Up Revolution's palettes to anyone! I hope you enjoyed this little review and I hope you are all doing well. If you have tried anything from Make-Up Revolution please let me know in the comments as I'm always looking for suggestions as to what I should try next. I have seen that they have recently bought out new blushers that look like Too Faced boxed heart blushers so I would love to try them. If you didn't know I am hosting a blog series through December called Countdown To Christmas, where a selection of bloggers are posting the same posts on Mondays and Fridays. I am super excited to be working with the bloggers that are taking part and I hope you enjoy it too. If your a blogger and you would like to get involved then pop over to my twitter and tweet me for the email! I am trying to get back on track with my blogging now so hopefully I will see you on Monday! Wow I love how inexpensive makeup revolution palettes are! :) great review, I may have to add this to my makeup revolution shopping list haha! This looks so good, gorgeous shades! It's surprising how such a cheap brand always brings out amazing products!